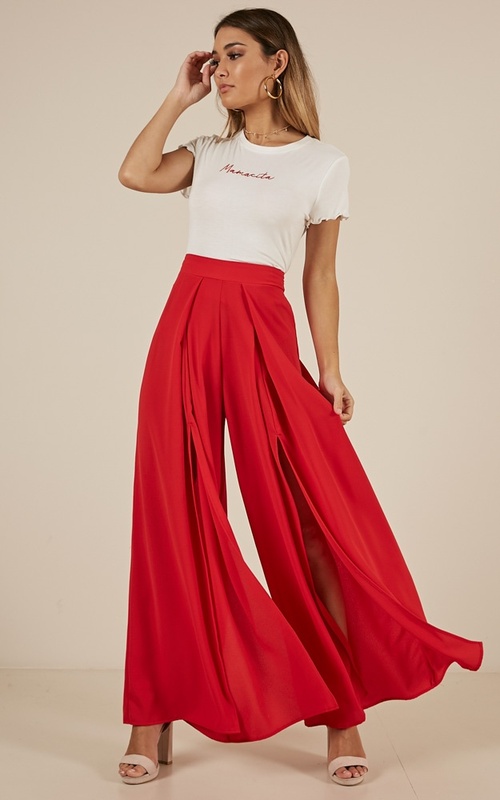 This wide leg pant is the hottest look of the season! Make a statement whilst wearing these, you'll love to pair with an off shoulder cropped top or a belt for an extra cute finish. Filter By Height: Show All 5'4" 5'7" 5'8" 5'10"
Absolutely love these pants! I now have them in 2 different colours and wear them all the time. There is a lot of stretch to them. So much so that I might have benefited from going the next size down but they still fit very well. Small amount of sheer at the bottom where the fabric is less together but overall a fantastic item! 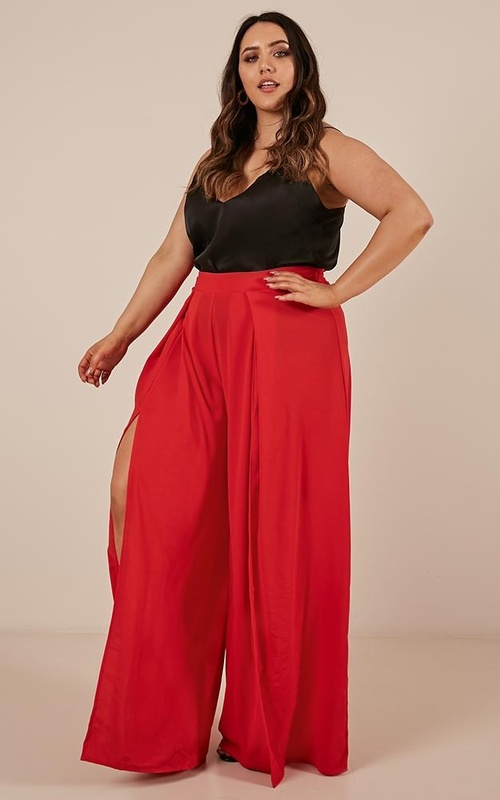 These pants have a more stretchy waist band than the picture shows and run larger than a normal size 14.. I loved the colour and style but would go down one - two sizes when ordering them. I had to return them as they fell off of me in the size 14. 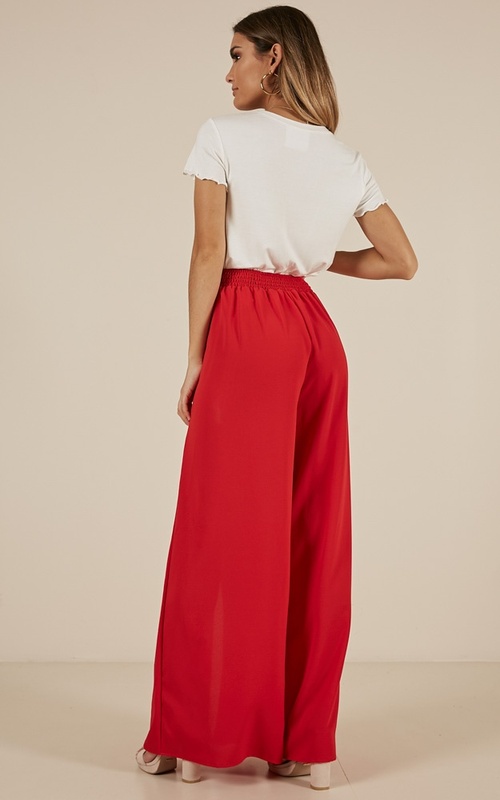 Bought these as work pants. I could clearly see my underwear. They weren't very flattering either. 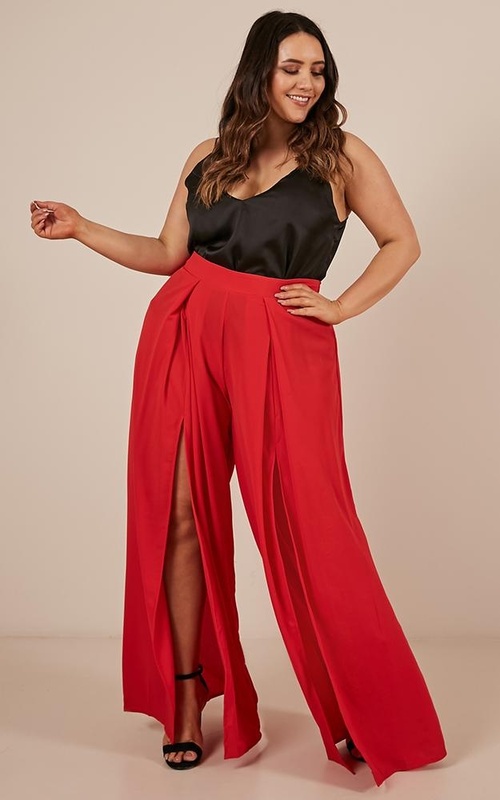 These pants are lovely and great for any classy event, I would recommend wearing heels with them as they are a little long but a good length.